Child custody and parenting time issues in a divorce can be one of the most gut-wrenching and difficult issues for parents to address. For most people, the thought of not being able to see their kids every day is difficult to accept. 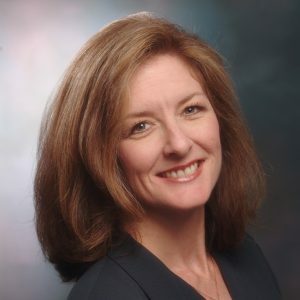 For those folks who are contemplating divorce but have minor children, the collaborative divorce process can provide the tools to help these families transition to their new normal, while maintaining an effective co-parenting relationship. In Texas, the presumption is that parents will be appointed as joint managing conservators of the children. This designation has to do with how decisions are made for the children going forward, and not with how much time each parent spends with the children. One of the most frequently disputed issues in the custody context is which parent will have the right to designate the primary residence of the children. Several years ago, the Texas Family Code was amended to allow a court to approve a parenting plan that did not give this right to either parent exclusively, but instead limited the residence of the children to a specific geographic area. In the collaborative divorce context, we have been able to use this provision of the Family Code to help parents define an area in which the children and both parents will reside so that a parenting time schedule that protects and maximizes both parents’ time with the children can be created, while also reducing the amount of “windshield time” the children have between homes. In a collaborative divorce case, we use a team of professionals to assist the parents in navigating the process. With cases involving minor children, the neutral mental health professional (“MHP”) plays a crucial role in helping the parents determine how decisions for the children (such as educational and medical/psychological treatment decisions) will be made post-divorce. The neutral MHP, who is not acting in the role of a therapist, helps the parents talk through how they want to see these decisions made going forward, as well as helping to assess what additional tools the parents may need going forward to facilitate the decision-making. The parents will work with the neutral MHP in off-line meetings to discuss their goals, desires, concerns and parenting philosophies. After the parents have worked through their parenting plan with the neutral MHP, both parents will meet with their respective attorneys to discuss these issues, and final agreements will only be reached after both parents feel that their questions and concerns have been addressed. 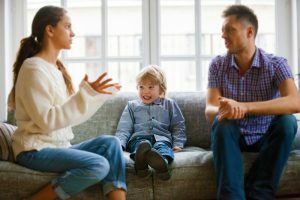 The fact is that a divorce requires a restructuring of each parent’s relationship with their children, as well as their relationship with each other. 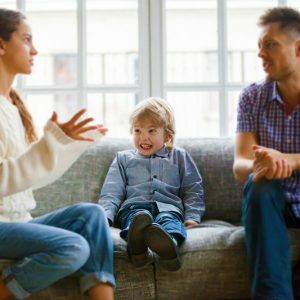 The collaborative divorce process provides the parents with the ability to create a custom-made solution for their family going forward that will hopefully minimize the pain of not seeing their children every day. The collaborative divorce process also helps parents think ahead to how they want to make decisions for their children going forward so that when the time arises to make those decisions, they have the tools and skills to effectively navigate that decision-making process.